Sotack will be whipping up a special batch of this bubbly spring concoction for the Mother’s Day Dungeons and Dragons game that she is hosting. Muddle strawberry and orange slice in tin. Add remaining ingredients to tin. Shake. Strain into coupe and top with prosecco. 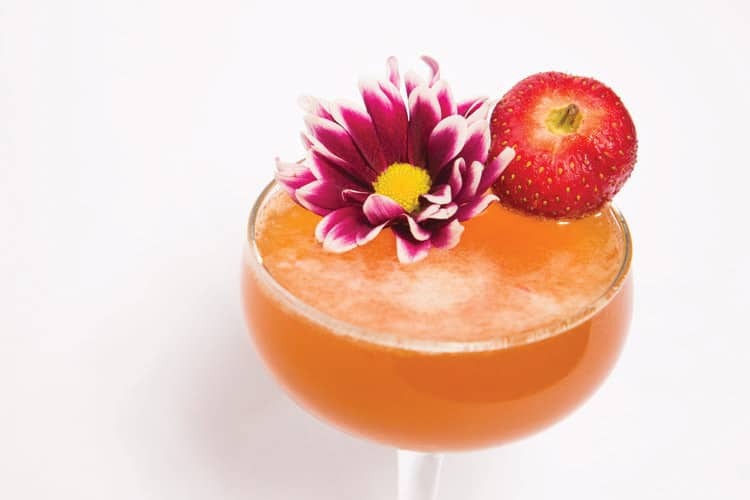 Garnish with a flower.